Photos courtesy of their respective clubs. With our economy on shaky ground, service organizations have become more important than at any time since the 1930s. Fortunately, area Rotary clubs, built on the very foundation of service, and numbering over 30,000 clubs nationally, are here to help. 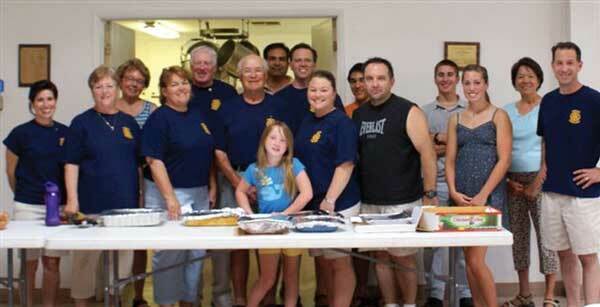 The main objective of Rotary is service, in the community and throughout the world. The Roseville Rotary, comprised of 85 professional men and women whom meet weekly, recently celebrated its 70th anniversary. The club is dedicated to actively seeking out local community service opportunities. Locally, the Rotary Club of Roseville (rosevillerotary.org) created happy Easter memories for families served by Kids First and Home Start, organizations for underprivileged children. The club also helped with a hands-on City of Roseville community service project on Pleasant Street in Roseville, and held a life-saving blood drive. As well, this year the group donated an ambulance to the Mexican Red Cross, provided school equipment to disabled children in Novolato, Mexico, and more. The Rotary Club of South Placer/Rocklin (southplacerrotary.org), is only five years old, but already has a membership of 40 plus and recently won an award for the “Overall Best Medium-Sized Rotary Club” in the (40 club) district. The proceeds from this year’s Brewfest – an event featuring several microbrews and so popular that it is already in the planning stages for next year – helps fund the club’s service projects. The Rotary of South Placer recently awarded four $500-grants to Whitney High School and Victory High School families in need. “Hooked on Fishing,” is another annual event that the club organizes, which includes 40 kids, lots of barbeque sauce, and catch-and-release fishing. On a local level, the club helps fund the Dillon Connor Foundation, an account set up to assist a local child living with muscular dystrophy. Next up is their annual casino night fundraiser in October, which is sure to be a night of fun and games.